LANA BURKE-LAKELAND REALTOR EXPERIENCED WITH THE AREA FOR 30 YEARS!
" We originally met Lana when we decided to puchase a short-sale. 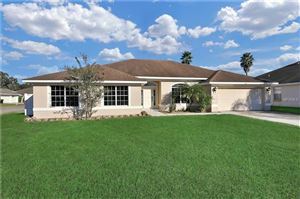 She was extremely knowledgeable and we closed on the sale in 60 days. We contacted her again to sell that home and purchase a new one. She sold our home in 5 days, for almost $10,000 more than the list price and negotiated our new puchase. The realtor who had the home listed was very difficult to deal with and slow to respond, but Lana was still able to close the deal by our deadline and even arranged a 2 week extension and pre-occupy. She truly is a fantastic realtor! 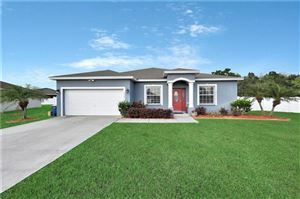 Service provided Listed and sold a home or lot/land Street address Lakeland, FL 33811 "
"We have dealt with Lana on several occasions and have made multiple purchases with her help. We have found that she is dedicated to her clients and holds her position in the highest level of professionalisam. Recommending Lana to others is a very easy task as we have found her to be very knowledgable and on top of the market trends. Everett & Rosie Odom"
" jokerswild1019Client, Buyer Lana helped us get into our first home! which we love! she was excellent and answered all of our questions and helped us through our concerns! she is very patient and knows her stuff! She gave us options and showed us different homes in our price range, we would definitely recommend Lana "
" TERRI GOULDClient, Buyer I highly recommend Lana- no matter if you are Buying or Selling She is THE BEST. We were buying and almost lost our house due to the banks lack of concern for contract dates, but Lana was on top of every move and contacted EVERYONE at the bank to keep them on the ball. Did I mention we were not her only clients at the time, but the way she was always on top of the issues, we felt like we were the only ones! The day we closed she had 4 other closing.... She know her stuff, A true professional! Lana Thank you! Because of you we have a BEAUTIFUL home that fits us perfectly!! She also SOLD a home for us! So BUYING/SELLING Call Lana!! " " Woody BrevilClient, Buyer My wife and I were building a house and when it was time for us to close things did not go well. We moved out of our rental apartment to stay at a hotel. Five weeks later, nothing has changed...so, we contacted Lana Burke and stressed to her how badly we wanted to get a house and forget about the deal we had with KB Homes, she went above and beyond to help us close on a beautiful house within 3 weeks. Four years later, I got a job offer out of town and wanted to rent that same house. The way the market was and is, I was a little worried about what to do with the house. I called Ms. Burke and my house was rented out within a week. I remember she called me while at work (first week on the job) to tell me that she had a tenant for me. That same weekend I moved out, my tenant moved in...it just couldn't be any better. My house is now being rented out thanks to her hard work. I would definitely recommend Ms. Burke to anyone trying to buy, sell and or rent in Po"